Read Part 2: Is Citrix Director Sufficient for End-to-End Monitoring? 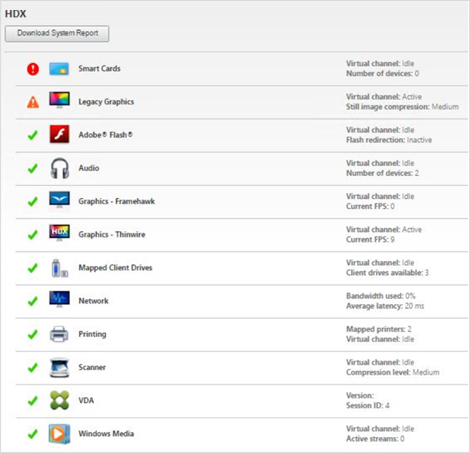 Citrix Director is a web-based monitoring console for Citrix XenApp and XenDesktop virtualization platforms that allows administrators to control and monitor virtual applications and desktops. Starting with version 7, Citrix Director is the default management tool, replacing the erstwhile Citrix EdgeSight. In this blog, we will look at the key capabilities of Citrix Director, what it does, how far it goes for Citrix monitoring. In a subsequent post, we will go into analyzing when and for what use cases you may need to look beyond Citrix Director for your performance monitoring needs. Because it’s free: Citrix Director is built-into Citrix XenApp and XenDesktop. It doesn’t require any external agents to be deployed: Citrix Director uses instrumentation built into the Citrix FlexCast Management Architecture (FMA). No additional agents need to be deployed for it to work. It integrates with Citrix NetScaler MAS. Director mainly provides insights into server and session performance. If an administrator is interested in network-level visibility into Citrix traffic and has NetScaler MAS already in place, they can see NetScaler MAS metrics in the Director console itself. It can be used for monitoring both on-premise deployments of Citrix XenApp and XenDesktop as well as Citrix Cloud deployments. The actual console in the two cases may be different but administrators can benefit from a similar look and feel of the user interface. Read this blog to understand the functions of #CitrixDirector and how it can be useful in #Citrix #XenApp and #XenDesktop deployments. What Does Citrix Director Offer? Starting off as mainly a helpdesk tool, Citrix Director has enhanced in capabilities over subsequent releases of Citrix XenApp & XenDesktop 7.x. Monitoring of Real User Logons and Breakdown of Logon Times: From the Director console, administrators can track the logon times that users are experiencing and see which parts of the logon process are causing slowness – from brokering to interactive session. Citrix Director pulls these metrics from the Delivery Controller. Monitoring of Server Resources: Key server resources such as CPU and memory of the server OS can be tracked from the Director console. For environments configured with NVIDIA GPUs, Director also can track GPU utilization. (Refer: https://support.citrix.com/article/CTX223925). 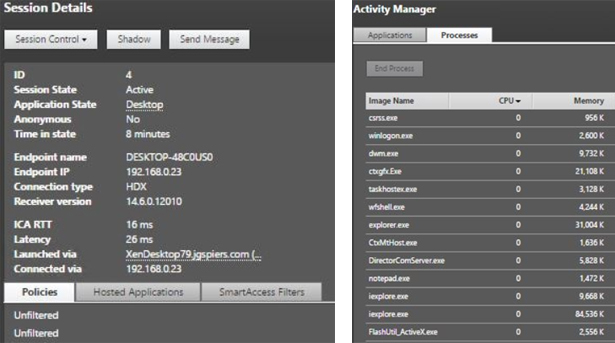 Monitoring of Application Failures: Different types of application failures are also reported from the Citrix Director console. (Refer: https://www.citrix.com/blogs/2017/08/23/application-related-session-failure-reporting-in-citrix-director-7-15/). Monitoring of Sessions: By searching for a specific user, administrators can drill down into a user’s session. The details of the user’s session, endpoint information and virtual channel details are all accessible to the administrator, providing visibility into the complete list of processes being executed by the user. Control Actions: From the Director console, administrators can control a user’s session. Actions that can be taken include logging off a session, disconnecting it, sending a message to a user, shadowing a session, etc. Helpdesk personnel may find these actions quite useful. 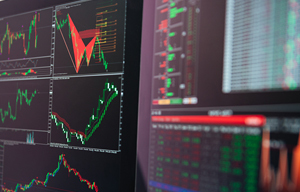 Trending: Trending capabilities in Director provide graphical analytics of historical performance over time. But only 7 days’ worth of historical data is typically stored. For longer data retention periods, Citrix customers must be on Enterprise (1-month storage) or Platinum (1-year storage). Data retention for Citrix Director on Citrix Cloud is 90 days. Director also has predictive capabilities, which might be helpful for capacity planning and forecasting. How is Citrix Director Licensed? To summarize, this blog provided insights into what Citrix Director can do, its features and licensing information. As a built-in tool available with XenApp and XenDesktop deployments, Director is certainly good for high-level monitoring of user session information. 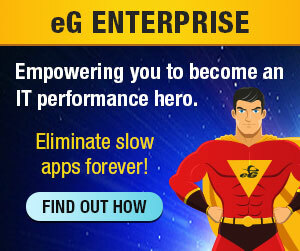 But, how far does Director really go for delivering deep performance visibility, detailed drilldowns, and facilitating triage and troubleshooting of complex performance problems? We will discuss this in the next post and analyze how third-party Citrix monitoring tools can complement Director and extend monitoring capabilities to beyond the Citrix tiers and deliver end-to-end performance insight. 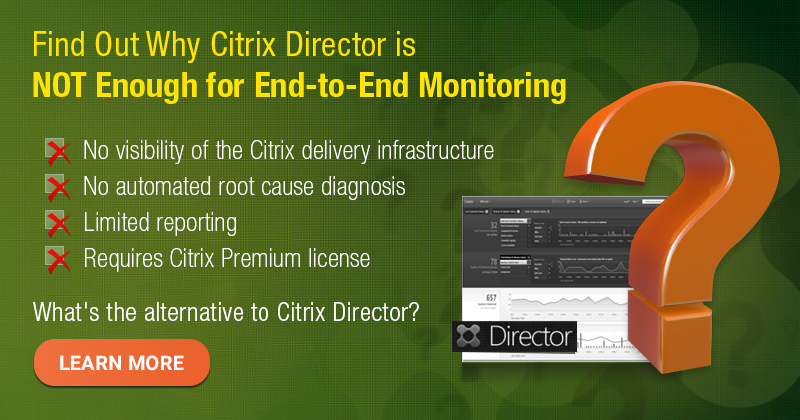 Is Citrix Director Sufficient for End-to-End Monitoring?